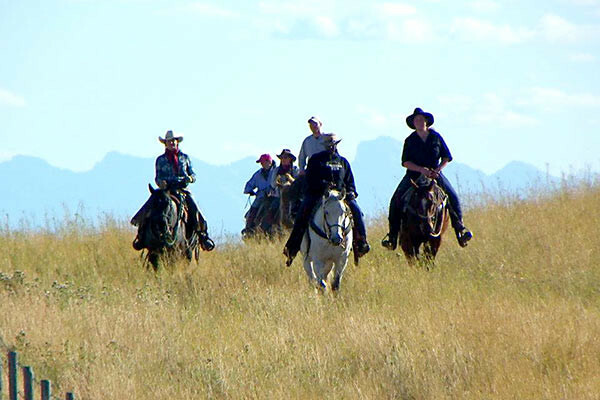 Saddle up and enjoy thousands of acres of Montana wilderness on horseback, or enjoy the variety of arena activities offered at the Bar W Guest Ranch. During the week, guests are encouraged to experience horseback riding activities including trail riding, horsemanship clinics, barrel racing, pole bending, cow sorting, roping, and team penning. By the end of the week, the cheers of new friends surround each guest as they compete in several horseback riding events at the Bar W Guest Rodeo. All this and more is what visitors can expect from a ranch vacation at the Bar W. Your trip will last a week, the memories will last a lifetime. Remeber, all past guests also receive a 10% discount off their package stay! During the spring, summer, and fall months the ranch offers all inclusive three and six night packages. The Bar W packages include accommodations, incredible meals, maid service, all ranch activities, ranch facilities, fishing gear, boats, access to surrounding wilderness, and guided trail riding. 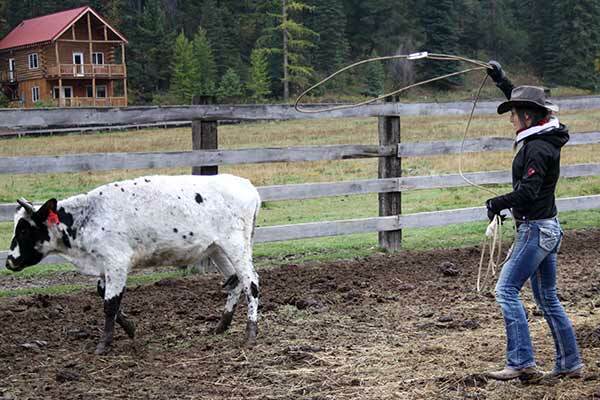 Guests are encouraged to utilize all amenities of the ranch during their stay. You’ll partake in wagon ride dinners as well as square dances, campfires, and true cowboy music. The Bar W is a place to feel at home, a place to discover, and a place to enjoy family and friends. The Bar W is offering an all inclusive package for women to “Cowgirl Up” with their best friends, sisters, daughters, or come alone and enjoy the camaraderie as the girls take over the Ranch. This special package combines nature’s simplicity with western informality and provides you with a true Montana retreat to refuel your spirit and delight your senses. 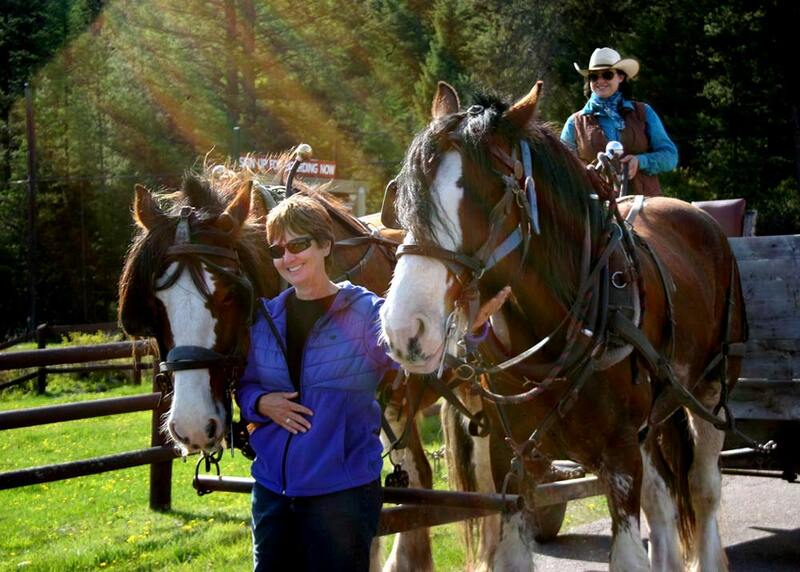 What do you get when you combine the splendor of Montana scenery with majestic horses, authentic cowboys and wildlife? The answer is a photographer’s dream vacation. The Bar W is offering an all inclusive package designed to be centered on photography. 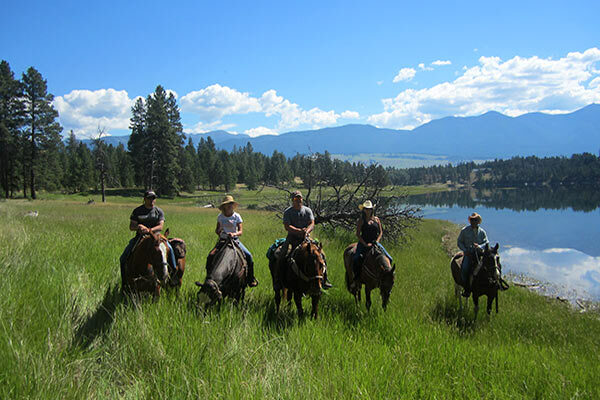 Escape to beautiful Whitefish and experience for yourself some of the most unspoiled nature while exploring Montana’s spectacular and diverse scenery by horseback. The Adults Only Week at the Bar W is an all inclusive retreat designed to allow you to relax, have fun and let your stress evaporate into the fresh mountain air. “Cowboying on the Great Divide” is scheduled for this spring and fall hosted by the Bar W Guest Ranch. 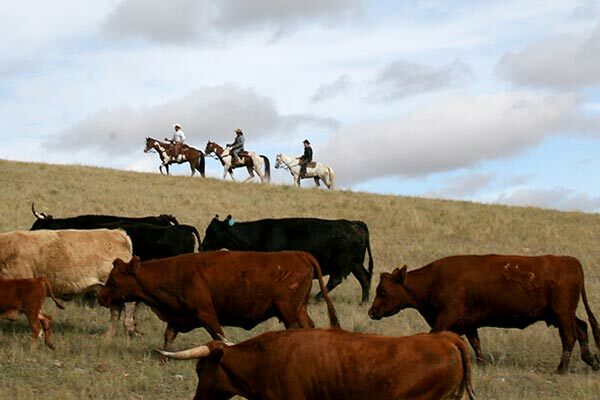 We have created a cattle drive adventure that rounds out all of the experiences of a cattle round-up. It’s all about horses, cattle, great country, and you!